Q: What is COOL? 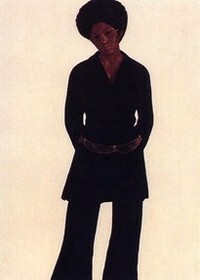 A: Barkley Hendricks – Nikki G Ph.D.
It’s 2012. I’m back from a long break. The joys of motherhood demanded time spent at home over the holidays with two little ones who really could care less that I want to have some physical and mental space to blog. Pa-lease. But, I’m back. With four talks lined up on four different artists (see what’s next), I’ve got a lot of ideas that need to take shape soon. And, as promised, I’ll be working on an article about me and my mommy phd friends (I’ll try to provide some teasers on that). According to African art scholar Robert Farris Thompson, “An aesthetic of cool,” signifies “the sense of a deeply and complexly motivated, consciously artistic, interweaving of elements serious and pleasurable, or of responsibility and of play.” For example, in observing Barkley Hendricks’ portrait Miss T (1969), one easily gets a sense of what is “cool” about her. Her introspective glance downward from behind her gold-rimmed glasses while standing casually in her black pantsuit with shiny embellishments around her waist exudes a coolness about her that is unrehearsed and smooth. Miss T is presented without the context of her surroundings of, perhaps, a Philadelphia streetscape. She is calm. She is confident. She is at peace before the onlookers’ glare, caught up in her own thoughts of problems or dreams. Hendricks’ placement of the figure before a bare, vacant background, allows Miss T to be absorbed into the canvas with just her very presence. Hendricks provides her with a certain amount of power and agency, and perhaps this self-possession is the origin of her coolness. Robert Farris Thompson, “An Aesthetic of the Cool,” African Arts, v. 7, no. 1 (Autumn, 1973), p. 41. 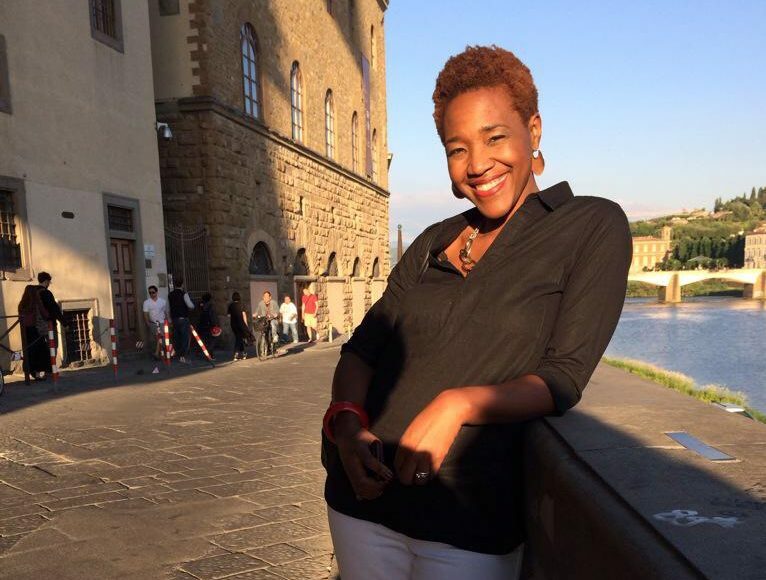 From poor black kid to…Art Historian?